Hello everyone, I'm a trivia writer and host from Spokane, WA who is very excited to have my first puzzle published in the New York Times! I've solved crosswords off and on throughout my life, but about a year ago learned that anyone can make a crossword, and was off to the races. This one came about while playing with CHECKERED FLAG for another puzzle – CZECHERED FLAG and FINNISH LINE popped right out, and I just had to create some matching entries. I also really enjoy solving puzzles where the theme clues tell a story, and hope that solvers think it's a fun component of the theme. I went through a few failed attempts at filling the grid – having the 13-letter long entries stuck at the ends was a pain to deal with. Even so, in this one, the northwest corner still needed some cleanup from Will and Joel, who pointed out that I? ?I really constrains the grid. Lesson learned for next time. I was happy to see a couple of clues that made it through editing: [Switch positions] for FLIP FLOP is probably my favorite in the grid, and as the dad of the coolest one-year-old on the planet, [Like many a new parent] is right on the money for SLEEPY. Finally, this puzzle runs on my mom's birthday. I imagine it's not that common for people to get birthday wishes in the New York Times, so Happy Birthday Mom! Country puns! In a … car race? Huh. Sure, there are international motor races, right? Yeah, why not! I have a tough time figuring out "rules" for puns. I think the most important one is that they generate big laughs. Or groans. I liked FINNISH LINE the best, a simple twist on "finish line." 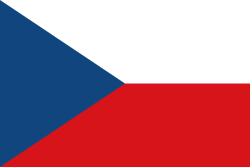 Something about CZECHERED FLAG made me smile, too. Maybe groan a little as well. Pretty sure that's good! It did feel all a little inconsistent, though. RUSSIAN, FINNISH, CZECH are all descriptors of those country's natives. "Polish" would fit that set better than POLE, yeah? And POLE, RUSSIAN, FINNISH are separate words, but CZECH gets transmogrified into CZECHERED. Huh. Again, one out of four being the odd one out felt … well, odd. A ton of great bonuses, great to see in a debut. Especially important for today's puzzle, as I can imagine that there might be some solvers out there who neither race fans nor punsters. Love FLIP FLOP, SCRUNCHIE, RASTAFARI. Even a couple of colorful shorties in CONTRA, TUDOR, OZONE. And love it when a rare letter gets worked in as smoothly as the Z in the south. HAZY / ZANY even with a nice SLEEPY, without any crossword glue? Yes please! Overall, the grid was pretty good on second glance. But it just takes one or two glaring blips to leave a bad taste. The geometer in me loved, loved, loved the clue for PIP. How the frak could there be a [Circle on a cube]? Cubes are flat-planed, with straight lines, not circles or arcs ... ah, a PIP on a die. Brilliant! Overall, I enjoyed the story Brian told. The puns didn't all work for me, and the lack of consistency bugged me, but there was enough entertainment to keep me largely amused. Average word length: 5.05, Scrabble score: 314, Scrabble average: 1.68.